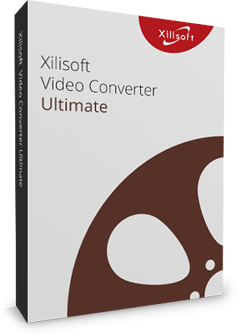 Being a multifunctional Home DVD subtitle extractor to effectively extract subtitles from DVDs, Xilisoft DVD to Subtitle Converter can convert all Home DVD subtitles and create subtitle files in IDX+SUB, PDF, JPG and other image formats. Besides extracting subtitles from DVD-Video, this Home DVD subtitle extractor/maker tool can also extract subtitles from VOB and SUB+IDX files. Developed to bring you an easy and high-efficient way to convert Home DVD subtitle, this Home DVD subtitle extractor allows you to output multilingual subtitles file to facilitate your language learning greatly, retrieve Home DVD information from the Internet, separate Home DVD subtitles into several parts, and so on. 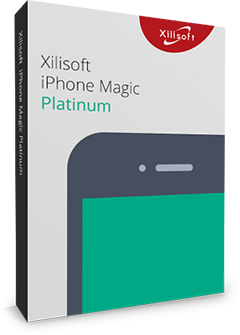 For movie fans like you, Xilisoft DVD subtitle converter provides a brand-new way to review your favorite movie stories. Convert DVD subtitles from the whole DVD or convert subtitles by DVD titles or chapters, and output them in PDF, SUB+IDX, JPG, BMP, PNG format. Convert all or some of language subtitles from VOB and create SUB+IDX subtitle files or output as PDF, JPG, BMP, PNG; extract subtitle file from SUB+IDX file and save as PDF, JPG or other picture format. 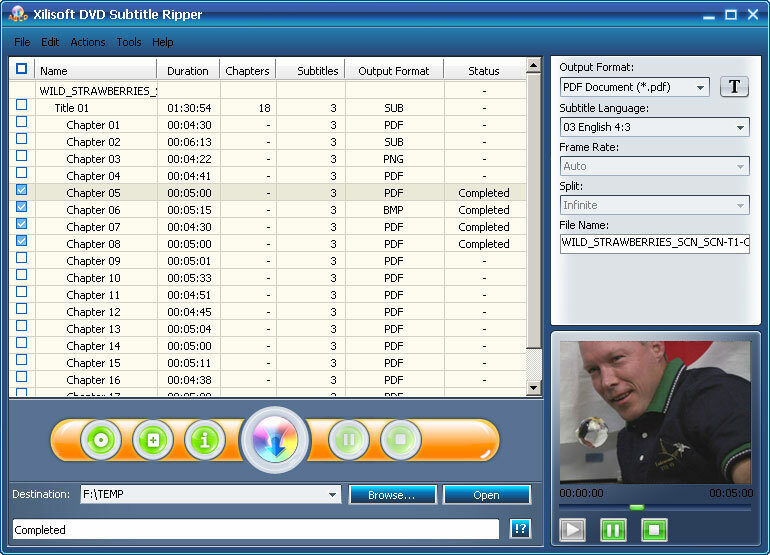 Output multilingual subtitle comparison files from DVD-Video to benefit your language study. Perfect your DVD movie information in the way of retrieving film name, director, actors/actresses, title and chapter info of DVD from the Internet. Extract subtitle from DVD, VOB, SUB+IDX and then output as PDF, SUB+IDX, JPG, BMP, PNG file. Convert DVD subtitles of the whole DVD-video; convert DVD subtitles of all titles and chapters or some of them; convert all language subtitles or some of them; convert different language subtitles respectively or as a single multilingual subtitle comparison file. Setting smaller font makes it possible to put more subtitles in one page for convenient carrying, while setting bigger font makes the subtitles easier to read. Split output files by given time, choose appropriate frame rate and name the subtitle files to extract subtitle from DVD-Video conveniently. Typeset the subtitles in A4 page size and output PDF files or image files to make your reading and printing easier. Directly grab DVD subtitles accurately with no mistakes and output subtitle files absolutely accordant to the original subtitles. The whole DVD subtitle converting process can be done in 3 steps: load DVD, select output format (default to PDF) and start to convert DVD subtitle. Start, pause and stop the DVD subtitle converting process at will; preview the source files; choose skin and language to dress your product interface; and more.